It’s Love…COME WHAT MAY–Review and Giveaway! Hi there! 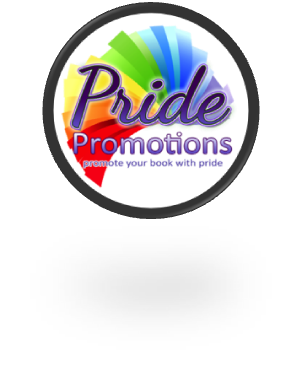 Today I’m sharing a review for a new contemporary New Adult M/M romance from AM Arthur. COME WHAT MAY is a journey for one young man whose life seemed perfect…from the outside looking in. It’s got so many beautiful feels!!! Check out the excerpt, my review and enter to win in the giveaway below! Jonas is a closeted junior in college sent to live with his aunt and uncle in Delaware to keep him out of the spotlight after he’s expelled from school in a frat-hazing-stunt-gone-wrong. Jonas has had a hard time living up to the perfect ideals of his strict, conservative parents, and suffers from a possible learning disability his folks won’t accept. Living with his aunt and uncle is a totally new world. Financially, they don’t have much, but they share with real joy. They take care of their own, and more: they have tenants above their garage, Tate and his two younger sisters. Tate is a 23 y/o out gay man who’s not ashamed at his years of tricking to keep his family fed. Tate and his sisters were orphaned when he was just 16, and he fought hard to win their custody–not before they were both in bad spots in foster care. Tate strives to always put them first, especially his youngest sister Marnie who was assaulted and still suffers PTSD. Tate is immediately attracted to Jonas, who’s a right godly male specimen. Jonas is afraid of the feelings that Tate stirs, but can’t help being awed by Tate’s sheer awesomeness. Did I mention Tate runs (with his good friends) a homeless shelter for LGBT teens who’ve been kicked out by their parents? Yeah, Tate’s the stand-up man Jonas would love to be. And that admiration allows Jonas to finally drop his facade. He’s known he was gay for some time, but lives in fear of his parents cutting him off. Of course, being in Delaware with his loving and open extended family–and Tate–allows Jonas to cut loose in a way he never could in college. And, Jonas pretty much loves it. Expect a lot of real hard times, though, because Daddy Dearest is one for the Internet Shame Awards. I seriously fell into this book. It was such a heart-tugger, and really allowed these two young guys to explore a solid first relationship–one that was definitely heading into “forever” territory in the HEA ending. Jonas gets the help he needs to be a fully functional adult, one not beholden to his father’s homophobic and controlling whims. Tate learns that he has to let go of his guilt surrounding the years he couldn’t keep Addyson and Marnie protected, and build a new and brighter future for them, and himself, with Jonas. There are some awesome secondary characters, and I’m sure we’ll be lucky enough to experience their love stories going forward. I really ache for Marc and hope he finds a forever man. The whole “gay teen homeless shelter” background was fantastic, and wonderfully rendered. It was clear exactly how razor-thin the operating budgets of these (unfortunately!!) necessary centers are, and I loved how Jonas did his very best to make Tate’s place more financially solvent. I can only hope that a reconciliation for Jonas and his parents is on the horizon, and that a hefty donation from them will keep the doors open and the kids fed. Interested? 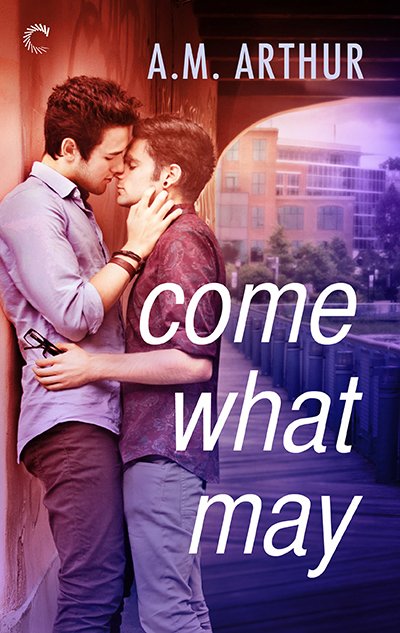 You can find COME WHAT MAY on Goodreads, Carina Press, Amazon, and Barnes & Noble. Click on this Rafflecopter giveaway link for your chance to win a $25 gc to Amazon or Barnes & Noble–winner’s choice!